All Ooma users can now make unlimited domestic mobile calling using the Ooma Mobile app! 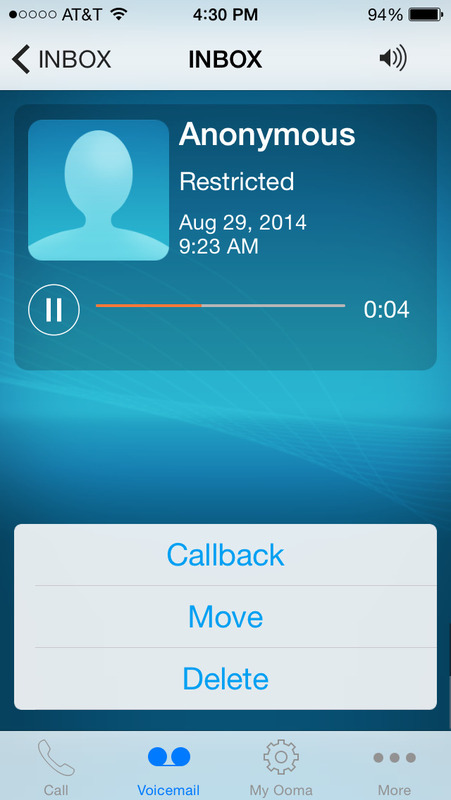 The Ooma Mobile HD app lets Ooma customers make and receive phone calls with any iPhone, iPad, or iPod touch. The application transmits the calls over your device’s Wi-Fi or 3G/4G/LTE data connection, so you don’t need a cellular voice plan or cellular voice service to make and receive phone calls. With Ooma PureVoice™ HD technology, the Ooma Mobile HD app delivers great voice quality on the go without consuming a lot of bandwidth from your data plan. Even better, if you’re calling another Ooma customer, your call will be connected in HD to bring you the most natural and lifelike calling experience available. * Never miss a call: The Ooma Mobile HD app is linked to your Ooma account. If you are an Ooma Premier subscriber, you can setup your app to ring whenever someone calls your Ooma number. * Make unlimited calls: All Ooma subscribers enjoy unlimited domestic mobile app calling. * Call overseas: Save up to 90% on international calls with our everyday low international rates. If you subscribe to the Ooma World Plan, you can access your plan to make international calls even when you are not at home. * Access your account: Check voicemail and update your account preferences, all from within the app. * Talk on Wi-Fi: Make and receive calls when you are connected on Wi-Fi. No cellular service required. This even works when you’re traveling abroad so you can avoid expensive roaming charges. * Be yourself: Calls made using the app show your Ooma phone number so people know who you are. 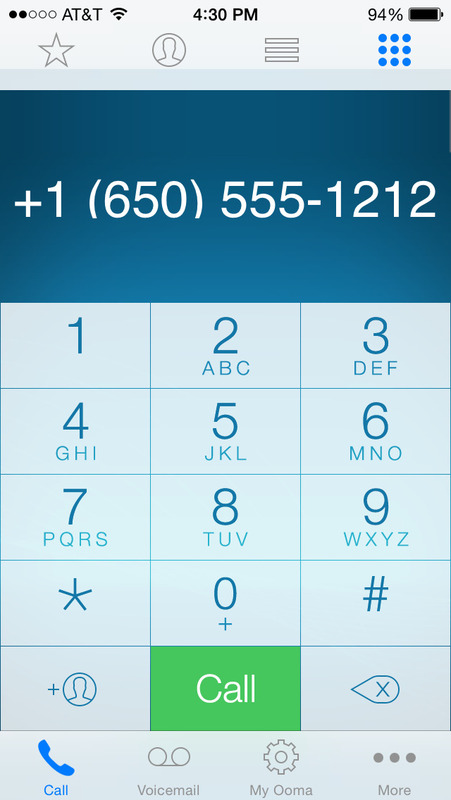 * Make calls from your iPod/iPad: The Ooma Mobile HD app transforms your iPad and iPod touch into a phone. * Free HD calling to Ooma subscribers: Call another Ooma customer and enjoy the stunning clarity of Ooma HD Voice and talk for as long as you want. Use of the Ooma Mobile application requires iOS version 6.1 or later and an Ooma account tied to an Ooma Hub or Ooma Telo system. If you do not own an Ooma Hub or an Ooma Telo, you WILL NOT be able to use the application. This app is not compatible with Ooma Office. Be aware that some mobile network operators prohibit or restrict the use of VoIP (Voice over Internet Protocol) over their network. They may prohibit the use of VoIP over their network or impose additional fees and/or charges when using VoIP over their network. By using Ooma Mobile over 3G/4G/LTE, you agree to familiarize yourself with and abide by any restrictions your cellular carrier imposes and agree that Ooma will not be held liable for any charges, fees or liability imposed by your carrier for using Ooma Mobile over their 3G/4G/LTE network. Zen: coloring book for adults.